The National Federation of Young Farmers’ Clubs is warning members about a new social media craze called Neknominate. The drinking game, which started in Australia, has now been picked up in the UK and is potentially putting young people in dangerous situations. The aim of the game is to complete a drinking dare and then nominate someone to do the same. The dares are recorded and the videos are posted on social media sites such as Facebook and Twitter, where the person names the next person to complete a drinking dare. While this activity is not connected to YFC, members may be tempted – or feel pressurised – to get involved in these stunts. The police and other organisations are condemning these activities and the media has started to expose people in some of the videos. National Chairman of Council Claire Worden said: “We are very concerned about this new social media craze on a number of levels. While this is not a YFC activity, we would ask members who are getting involved in it to respect YFC’s reputation. “It is also important to consider your own reputation. Posting videos in a public domain means they can be viewed by current and future employers, colleges/universities, family and the media. Drinking while operating machinery or driving is extremely dangerous, illegal and is not condoned by NFYFC or the Farm Safety Partnership. Please check out our pages on Farm Safety for a reminder on why it is important to act responsibly around machinery and on the farm and check out our Drive it Home campaign on road safety. Those choosing to take part do so of their own volition and should not associate YFC or NFYFC in their activities. Neknominate is not an activity endorsed by the Federation. Consider the reputation of your club and your county and the knock on effect this could have on the wider organisation – as well as your own personal reputation. Young people under the age of 18 should not be nominated to take part in a drinking dare – and no one should feel pressurised into being involved. Check out the Rural+ campaign for more information about rural isolation and the impact of online bullying. If you or any one you know is concerned about a Neknomination challenge, they can contact NFYFC’s Youthwork Officer Cath Sykes on 02476 857222 or email. Young Farmers in Essex are aiming to top the charts during the Annual General Meeting in Blackpool in May. The members of Essex Federation of Young Farmers’ Clubs have set themselves the challenge of writing an original hit, recording and releasing it in the build up to NFYFC’s Annual Convention to raise money for YoungMinds and The Farming Community Network. Traditionally called WotNots, every year young farmers from across England and Wales choose fun ways to raise money for charity while travelling to the Annual Convention. Essex FYFC plan to do a promotional tour of their single on the journey up to the popular Lancashire seaside resort. Using local contacts from Audio Network, a global music group who provide over 60,000 music tracks for use by major television, film and multimedia corporations, the wannabe chart toppers have already secured the support of a professional lyricist and a video crew. While the song title is still to be decided, Essex FYFC’s Chairman Sam Iddison confirmed the song will celebrate life as a Young Farmer. “We wanted to do something a bit different, we’ve completed cycle rides and other similar WotNots before, so we came up with this! As the Annual Convention is a weekend of people enjoying music with Radio 1 DJs, this seemed like the right challenge for us to attempt and we’re all very excited by it. 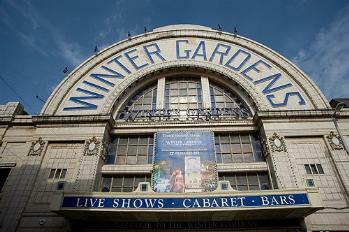 NFYFC’s Annual Convention is at the Winter Gardens in Blackpool from 9-12 May 2014. It includes an Agricultural Forum, national competition finals for the Choir, Disco Dancing, Entertainments and Senior Member of the Year. The full line up for the event will be released after the Council meeting in February. Tickets for Annual Convention are on sale now through county booking officers and prices can be found online by clicking here. To get behind Essex FYFC and support their mission, you can follow them on their website, Twitter, Facebook and website. A new partnership between The National Federation of Young Farmers’ Clubs’ (NFYFC) and AGCO Parts, a leading global manufacturer of agricultural equipment, is helping to develop skills in young farmers under 18 years old. AGCO Parts is supporting NFYFC’s Youth Forum – a steering group that was set up to represent the views of younger members of the Federation. The group help to develop ideas for competitions and events that will appeal to members under the age of 18, as well as take an active role in the British Youth Council. Members meet three times a year – including a residential weekend, which this year is taking place from 31 Jan to 2 February at Oaker Wood Leisure in Herefordshire. 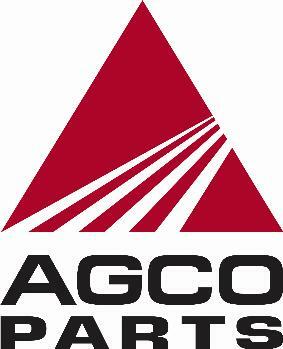 AGCO Parts will also be attending the Youth Forum’s meeting on Sunday 2 February to officially meet the group. David Howe, Manager, Complementary Product Business, EAME, AGCO Parts Division, said: “The farming industry has some challenges but also presents some very exciting opportunities as the industry evolves with even more new technologies to support the growing food production needs of the population. 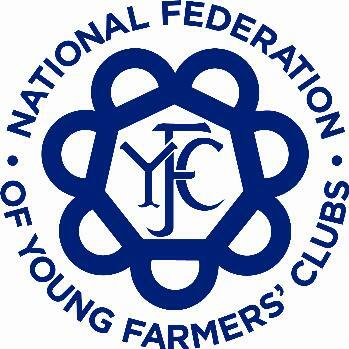 “The youth of today are our employees and customers of the future and with that we are very pleased to support the NFYFC’s Youth Forum through 2014. 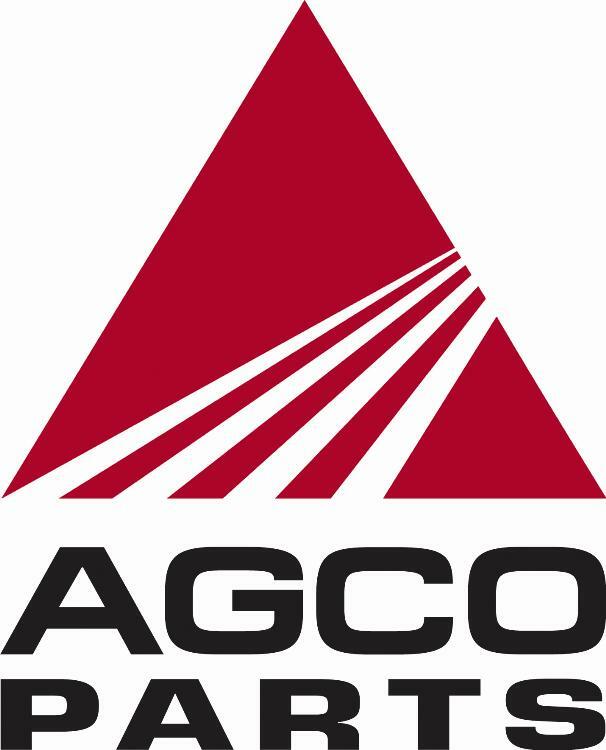 This support will give Young Farmers and particularly the Youth Forum the opportunity to meet and share experiences with the team at AGCO – but it also gives us the opportunity of seeing and listening to the views, ideas and interests of the future drivers of our industry. Claire Worden, NFYFC’s National Chairman of Council, said: “We are delighted that AGCO Parts is supporting our Youth Forum and helping to develop the skills and confidence of NFYFC’s younger members. For more information about the Youth Forum Residential weekend, click here. Debates on topical agricultural issues and a chance to network with leading farming figures were just some of the highlights for members who attended the Oxford Farming Conference (OFC) in January. National Chairman of Council Claire Worden, Cornwall FYFC, and ARAC Chairman Russell Carrington Herefordshire FYFC, had their places sponsored by the Worshipful Company of Farmers. It was the first time Claire had been to the conference and she said it was a great place to make new contacts as well as find out more about the industry. “Opportunity Agriculture was such a relevant topic to the next generation,” said Claire. “It was so interesting listening to a couple of the speakers that have found unique ways to grow their business or to start a new business. 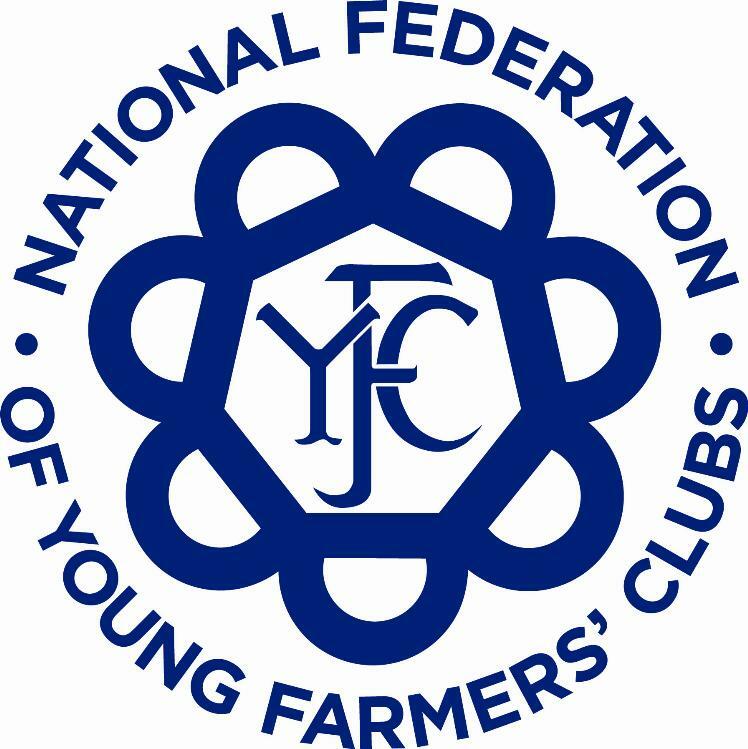 The Worshipful Company of Farmers sponsors two NFYFC delegates because attendance at the OFC meets its aims to stimulate the development of agricultural education and understanding. In recent years, NFYFC has identified two members who would not only benefit from the experience but also make good use of the opportunity to learn from the information given and network with other delegates, including the Master and Liverymen. 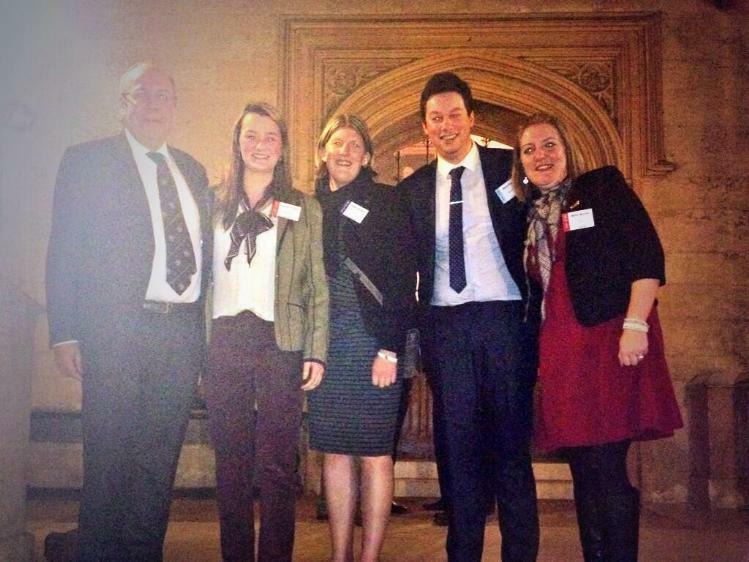 “I am grateful to NFYFC for allowing me to access this opportunity,” said Georgia. “It was great to hear some fantastic speakers and be inspired by stories from other young speakers who had taken risks within their businesses that had paid off and were now very successful. During the OFC, two young farmers also went head to head to debate the pros and cons of renewable energy. Matthew Sharp, former Chairman of Ponteland YFC, and Duncan Howie, Maldon YFC, took part in the debate at the Oxford Union, entitled: ‘This house believes that green energy is not worth the carbon it takes to produce’. After a heated discussion, Duncan won the debate with his positive views on renewable energy. An alternative event also runs alongside the OFC called the Oxford Real Farming Conference (OFRC). It was set up to discuss good food; a secure and beautiful countryside and plenty of satisfying jobs. Member Becca Watkins attended the event and joined Julie Ingram of the Countryside and Community Research Institute and Robert Jeffery from NewLandOwner to lead an impassioned discussion on family farming. Becca went on to suggest some possible approaches to solving these issues, which included training and new opportunities such as share farming, and diversifying the farm business to accommodate more partners. For more information about the Oxford Farming Conference, click here and for the Oxford Real Farming Conference, click here. Members got the opportunity to see inside an abattoir and learn more about food production and livestock at a recent training event with EBLEX. 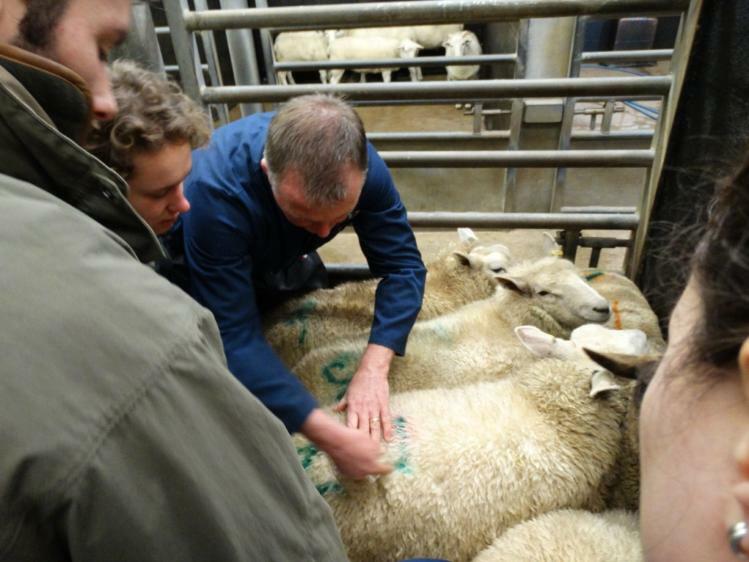 Two regional Meat for the Market training courses for Beef and Lamb were held in Lancashire and Chesterfield and passed on practical farming business skills. Participants were asked to handle the animals and to classify and judge the weights of them before they were slaughtered and then compared their results when they were shown the carcasses. The course also taught members about food safety, how to produce meat for today’s consumer and how to get the most profit. There were lots of tips and advice for members who enter stockjudging competitions too. Emma Tingle, 23, from Cawthorne YFC in Yorkshire is not from a farming background but said the Lamb course has got her one step closer to her dream of owning her own flock of sheep! “I would love to have my own sheep! I have married a joiner so I don’t know how likely it’s going to be,” said Emma who works for her husband’s building firm. “I had a crack at the live and carcase stockjudging competition last year and ended up in the national finals and came seventh. I really enjoyed it so I decided to go along to this course to get a bit more background and experience. Despite it being the first time Emma had been inside an abattoir, she says it hasn’t put her off eating meat. “I was concerned that as a partial townie I was going to come back a converted vegetarian but I can confirm I am desperate for some Barnsley chops! It was so informative and from a consumer point of view you learn so much more. 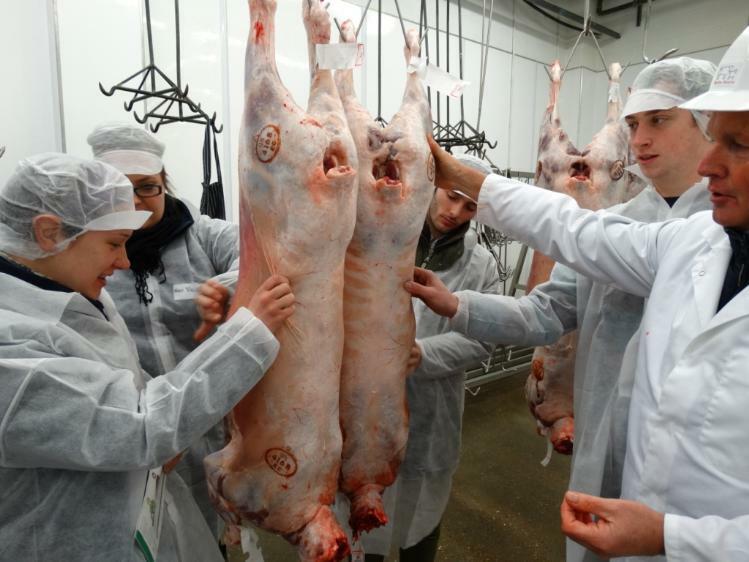 The Meat for the Market training was free for YFC members and NFYFC are looking into future events. Members and county staff in the South West Area recently got the chance to attend a local Train the Trainer course for the first time. The new initiative to host courses in Areas rather than in a central location has so far made it easier for members and county staff to attend. Two Area courses have now been held with a third due to take place in the South East in March. Attendees at the South West course learnt how to design and develop officer training, experienced a Know Your Limits Curve module and designed an officer training session. NFYFC’s Training Officer Sandra James said moving the courses to be focused in Areas was proving to be more popular. If any Area wants to hold their own course over the next 12 months contact Training Officer Sandra James. An Advanced Train the Trainer course is being held from 4-6 April at Brownsover Hall in Rugby. There are seven spaces left on this course so book early to avoid disappointment. Click here to find out more.